Rossinis withdrawal from creative work was a boon to Donizetti and Bellini. It gave them a chance, of which they eagerly availed themselves. Though born at Bergamo (in 1797), Donizetti was of Scottish descent, a fact which should be remembered in listening to his "Lucia." His grandfather, a Perthshireman named Izett, had joined the army and was taken prisoner by General la Hoche during the latters invasion of Ireland. He became the Generals private secretary, drifted to Italy, married an Italian lady, and denationalised his name into Donizetti. The composer produced his first opera in 1818, at Venice. In 1834 he was appointed a professor in the Naples Conservatoire, but held the post only a few years. In 1842 he accepted a post at Vienna once held by Mozart. Symptoms of mental disorder subsequently appeared, and a severe attack of paralysis disabled him. During his last years he suffered from dominating fits of despondency, and he had become almost a wreck when he died in 1847. Before the funeral a doctor stole his skull, which was afterwards found in use as a butchers money-bowl! 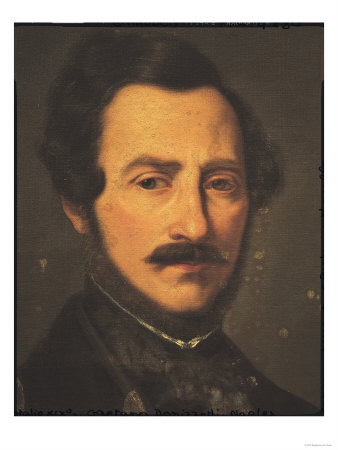 Donizetti wrote the incredible number of seventy operas. He had an even more fatal facility than Rossini, and could turn out three or four operas a year. There are many stories of the rapidity of his composition. Sir Charles Halle, who met him in Paris in 1840, and has left a description of him as "a most distinguished, amiable, and fashionable gentleman, as elegant as his music," tells how he asked him one day if Rossini really composed "The Barber" in a fortnight. "Oh, I quite believe it," said Donizetti; "he has always been such a lazy fellow." The anecdote is significant. Donizetti possessed dramatic instinct, and his flow of melody is wellnigh inexhaustible. But most of his music is of a superificial character. He wrote to please the public. He had to get a living, and, by studying the public taste, he found it easy to earn large sums of money. In one letter he says he can make by opera 2000 ducats in three months. Now only five out of his seventy operas survive.